To reach the picturesque village of Frangokastello, located in the south of Crete and less touristy, the roads are breathtaking, suspended between sea and mountains. 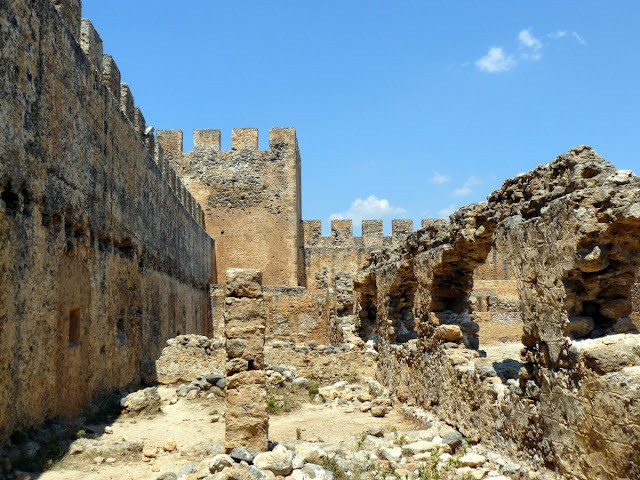 The famous castle is located near the beach and impresses with its imposing façade, which suggests that the castle is still in good condition: in fact, the exterior walls are the few things remaining, while the interior is practically in ruins. A legend says that on May 17 of each year, appearing between the fog and the ghosts of Daliani of his army, who occupied the castle during the war of independence of Crete. 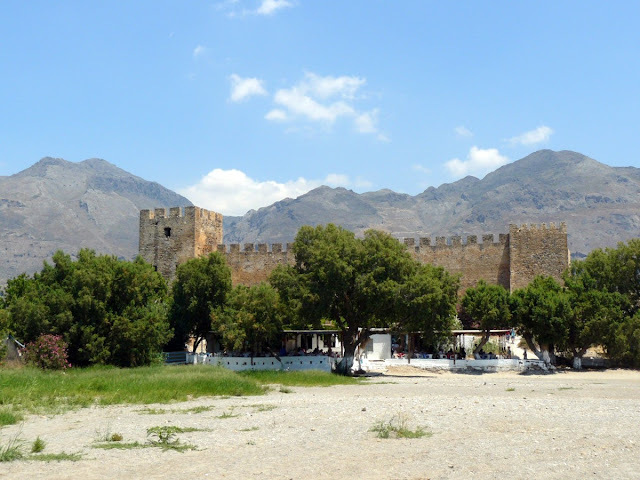 Dominated by the imposing castle, the beach of Frangokastello is among the most pleasant of Crete, due to the low crowding and the idyllic location in which it is located: looking from the sea, the beach is nestled between the majestic White Mountains and seems defense from the ancient fortress. The beach is sandy and the water is clear and transparent. Travel Tips: the main area is equipped with a pair of rows of sunbeds and umbrellas are available for hire for the price of 6 euro for the whole day, while another part is left entirely free and overlooking a tranquil lagoon . At the back, there are a couple of tavernas offering excellent cuisine at reasonable prices. From the parking lot, located next to the castle, you can reach the beach with convenient staircase.